It was the last month of the year, and I was travelling a lot for work and for personal reasons. I didn't spend much time in Delhi, but, whenever I was in Delhi, the Suzuki Burgman was my ‘go-to’ vehicle of choice. Despite the fact that I also have the Yamaha FZ25, the TVS NTorq, Apache RR310 and the Apache 160 at my beck and call, I still prefer to pick up the keys to the Burgman. The reason for that is quite simple – it is the most comfortable and practical way to get around town. 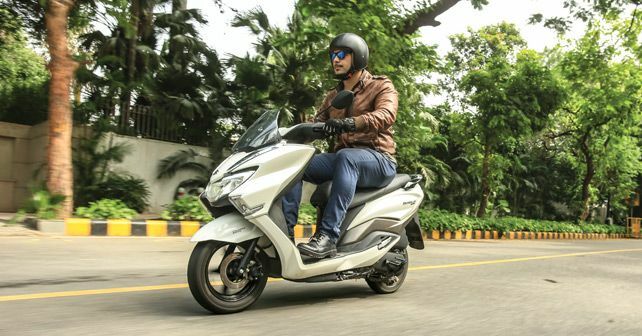 The Burgman has got the best storage options than any other bike available in India. So, I am always able to carry more than I usually would. Also, it's the most comfortable to ride. The wide seat and the ample leg room is great for someone like me. The ride quality is great in urban areas, and the suspension setup is fantastic on all road surfaces. The 125cc engine is peppy and quick enough for city use, and then the bike also handles well. It's agile and capable of cruising through tight traffic spots. The LED headlamp is also very effective in the dark. There really is nothing to not like about the Burgman. The only problematic thing, I would say, is that the front-end makes a squeaky sound, but I think it just needs to be lubricated because the scooter has spent long periods of time without being ridden. Other than that, though, the Burgman is still running strong and is a blast to cruise around the city with.